Keep all your favourite products in one pretty place with our Daisy Chain Cosmetic Bag. 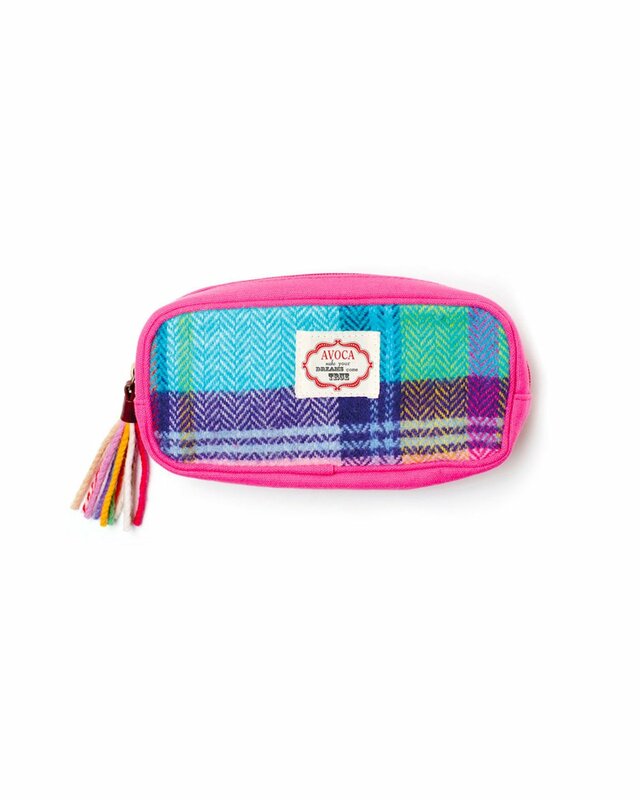 The front and back are woven from lambswool in a spectrum of bright colours, while the woolly tassel gives this accessory a playful touch. Finished with a pretty label and pink, satin bow to the front, this cosmetic bag is sure to become a favourite.